Dalal Engineering, a pioneer in High Temperature, Hiqh Pressure dyeing technology in India, was set up over 60 years ago in collaboration with M/s Obermaier & Cie of Germany and has steadily grown into a universally acknowledged manufacturer in the sphere of package dyeing plants. We have maintained our position of market leader, by constantly updating our technology through continuous research and development. We have successfully installed over 1600 dyeing plants all over the country and even abroad. Be it 100 Gms or 3000 Kgs, we have the expertise to manufacture the dyeing plants to match customer's exact specifications. Our states-of-the art manufacturing plant is strategically located, on the outskirts of Mumbai, having latest equipment for manufacturing and testing the dyeing plants. Our current range of machines is now more eco-friendly, with features like Air Pad system for reduced water, steam, power and dyes / chemicals consumption and Variable Frequency Drive for greater energy efficiency. The MLR is as low as 1:3 to 1:5 depending upon substrate. Today the dyeing manager expects 'First Time Right' results from package dyeing plants to meet shorter delivery schedule at lowest operating cost. To achieve repeatability of shades in production, the main liquor-circulating pump plays a very important role. Dye Liquor is required to be circulated for making maximum number of contacts without damaging the textile substrate and Pump should have characteristics which achieve just-right liquor flow through the material. Our Turbo pump achieves this result effortlessly. It is an axial flow pump which delivers adequate flow at a pressure suitable for dyeing textile packages of up to 400-450 gms/ltr density. 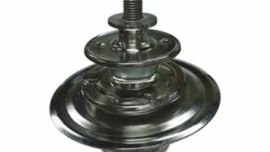 It works with reverse characteristics of that of centrifugal pump. Centrifugal pump need variable frequency drive (VFD) for speed reduction since the pressure developed at rated speed of motor would be too high. Turbo pump pressure gets automatically adjusted in accordance with material permeability while VFD optimises the power consumption. Liquor flow reversal by changing direction of rotation of the pump motor helps reduce complicated flow reversal mechanism which involves higher maintenance and break-downs. 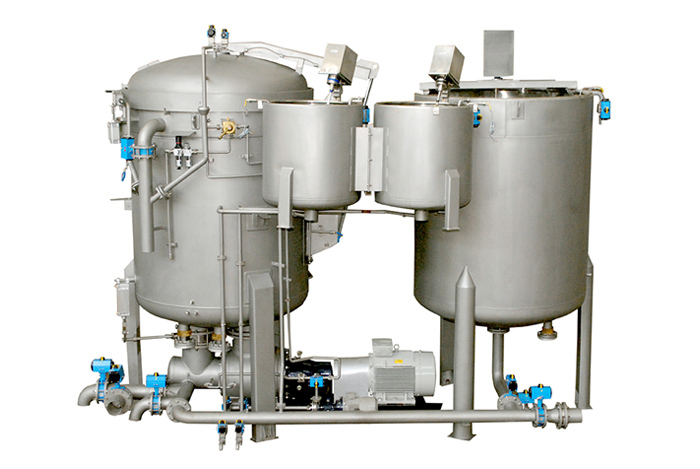 With Turbo Pump, additional pumps are not required for filling the machine or for transferring the liquor back from machine to Stock tank. Reduced water quantity to bring down steam, electricity and chemical requirements. Inverter controlled turbo pump motor helps achieve automatic step less speed control in both directions of flow. VFD reduces power consumption during start up, flow reversal and partial load dyeing. 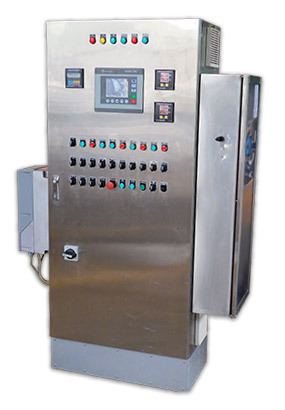 The main lid of the machine is in 3-piece OSV type lid, operating with a pneumatic lifting and lowering cylinder and all required safety locks such that it cannot be opened unless the machine is fully depressurized and temperature is below 80° C.
Filling – several types of water to a number of levels. Filling to a programmed quantity. Ratio fill – allowing quantity filling in relation to the material weight. Filling with analog level sensor to any programmed percentage. Flow reversal programme – allowing the selection of the duration of flow in each direction. Controlling the rate of heating & cooling, final temperatures and holding time. Signals for preparation and control of the transferring of the contents of a side chemicals tank, followed by automatic rinsing. 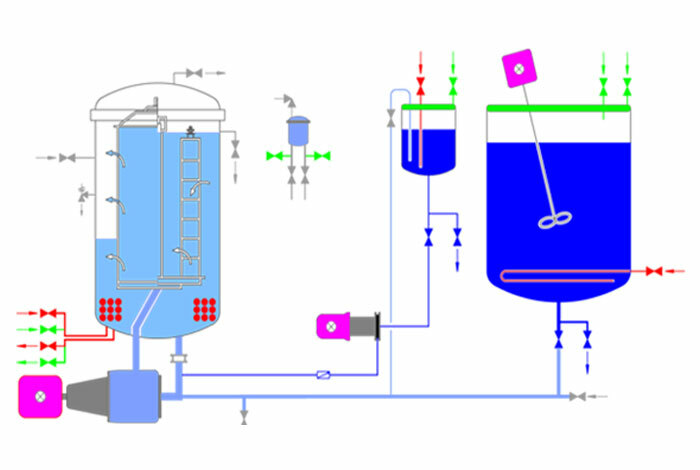 Parallel preparation of Stock Tank, including: filling, heating, signal for addition of dyes/chemicals and transferring to the main dyeing vessel. 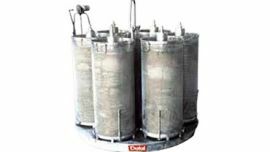 Draining facility for Normal drain, High Temperature drain and Pressure drain. Signals for operator intervention, including: load, unload, sample, check, etc. The machine is pressurized by compressed air to remove excess heavily coloured water reducing water consumption and rinsing time. The process is repeated at the end of the dye cycle to remove excess water making handling of the carrier easy and keeping the area of operation clean. Continuously monitors differential pressure of packages and automatically adjusts pump speed to achieve pre-set values reducing power consumption considerably. Measures TDS of dye-bath continuously. This application results in saving of time, quantity of water and electrical power. 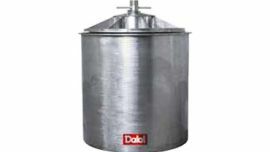 Reduces fresh water consumption due to efficient washing and improves rubbing fastness. Selection of this application however, depends on the class of dyestuffs and its suitability for such a treatment. Automated dye-kitchen equipment interfaced with microprocessor of main machine also available. Air pad is the standard production machine. However, for specific needs we can manufacture machines having Fully Flooded or Dual mode system. 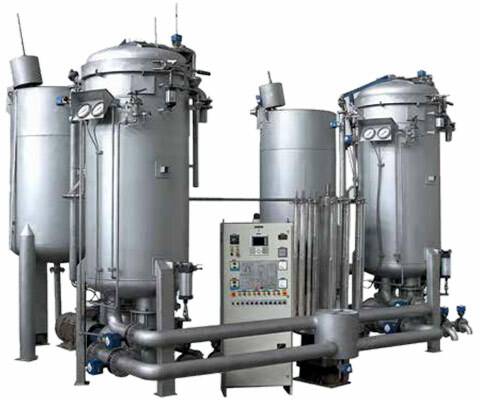 Apart from steam as heating media, we can also deliver machines suitable for Hot Oil or Pressurized Hot Water system. Coupling of two or more machines of identical capacity with automation can be supplied for dyeing larger capacity lots. 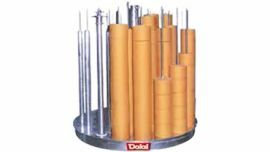 Interchangeable Material Carriers of a wide range for substrates in different forms are available with Dalal. 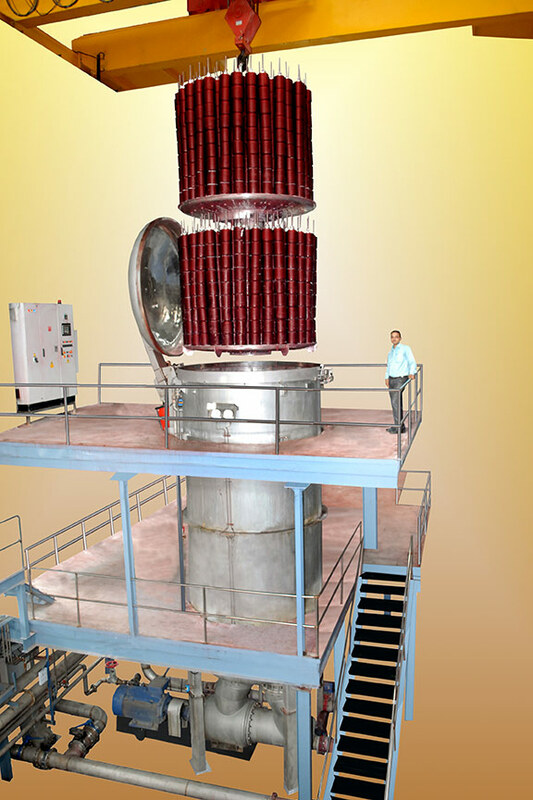 For tall machines, specially designed double decker carriers and warp beam carriers are also available. Cheese carriers feature spindles that are tailor-made to suit various types of dye centers and package dimensions. Cheese carriers supplied with self lowering locking devices. These carriers are designed for easy loading and unloading of tops and are constructed specially to ensure years of trouble free service. 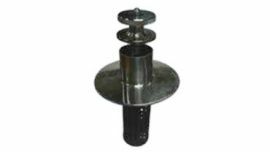 Gravity lowering caps help to take care of shrinkage during the process. Suitable for dyeing reduced batch sizes up to 50% of the rated capacity. Recommended for large dia/ higher capacity machines. Helps reduces time taken to unload the yarn packages from carrier. Most importantly it reduces man power required. 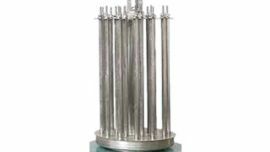 Packing Cylinders suitable for dyeing loose stock and muffs are robustly designed. 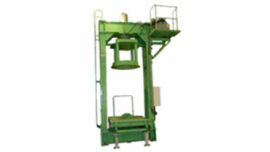 They are supplied with lifting plates for easy unloading of material. 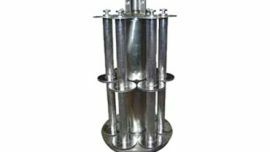 Heavy duty packing cylinders are designed for hydraulic pressing. 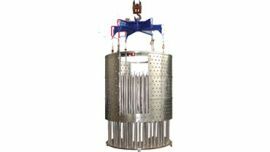 Special types can go into a centrifugal hydro extractor along with the material. 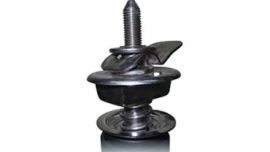 Various types of locking devices and plates are supplied to suit individual requirements of different packages. To press down dye-spring packages on to the cheese carrier spindles including movable turntable trolley. 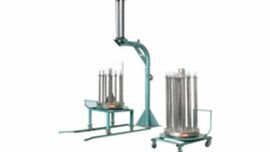 To press down loose stock and helenca muffs into packing cylinder with suitable adopters and movable turntable trolley. Gillanders Arbuthnot And Co. ltd.